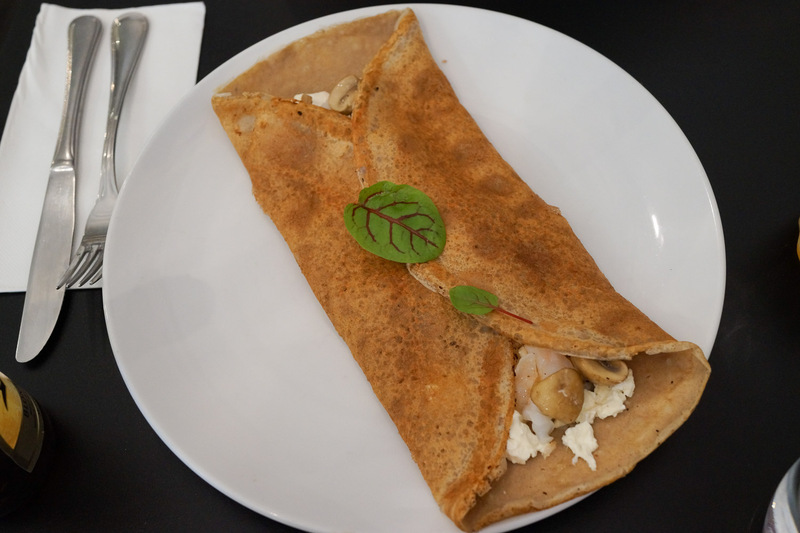 A French focused cafe on rue du Harris in the Pyrmont arrondissement. 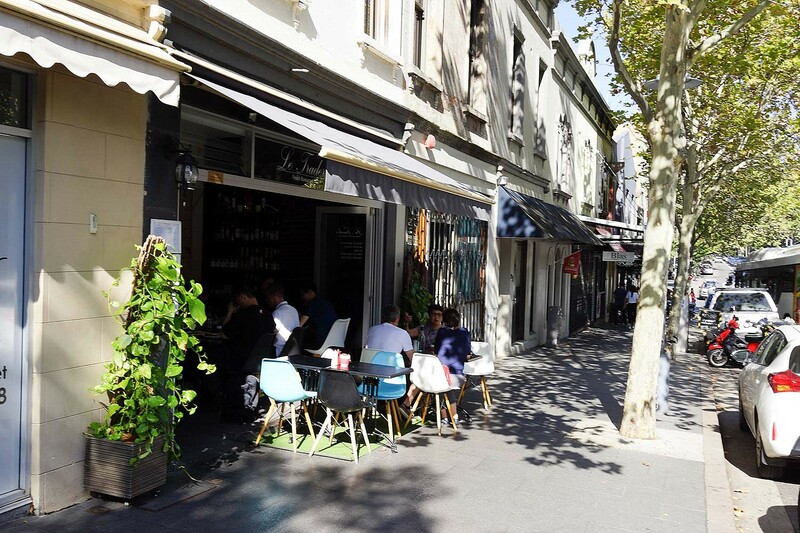 French cafes in Sydney seem to be more prominent these days. Perhaps they've always been there, quietly popping out their confit, but we have taken a bit more notice since we got hit with the French food bug. It's the smaller places we seek out though, a bistro or cafe floats our bateau. 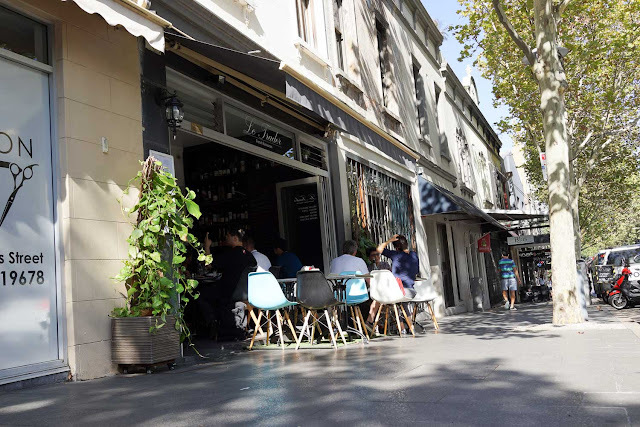 So we find some Paris on Harris at Le Trader. 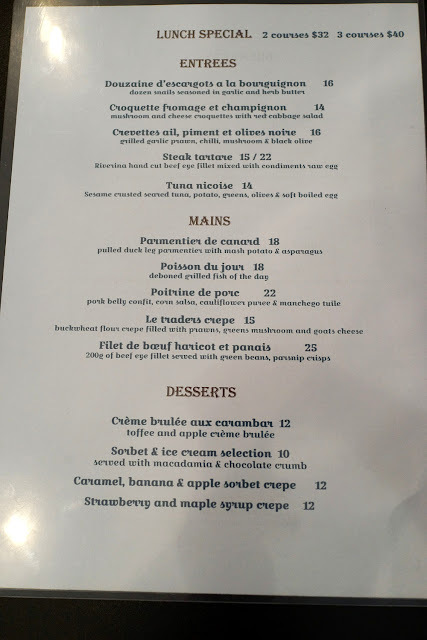 The lunch special here is two courses for $32, its a good deal if you choose the pricier selections off the menu. 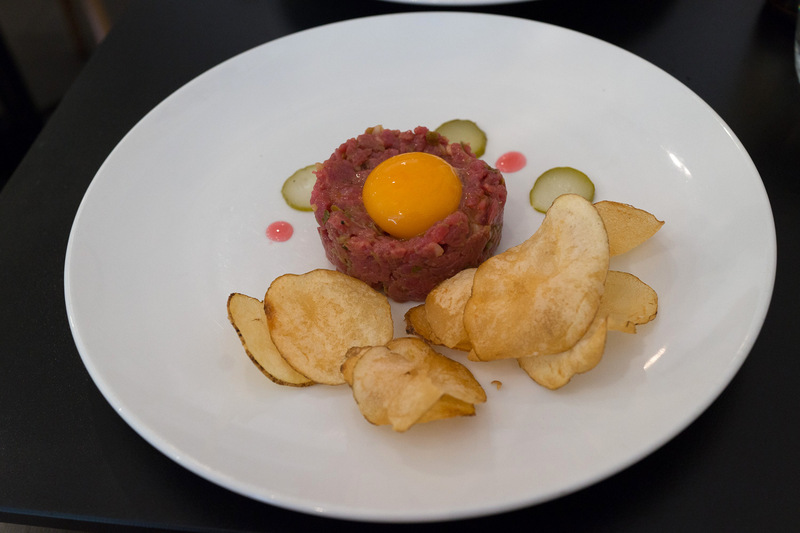 A steak tartare starter is well seasoned with a side of crisps to add a little extra salt and crunch, with a glass of cold Leffe beer this was a happy beginning. As another entree, the Tuna Nicoise was a meal in itself. 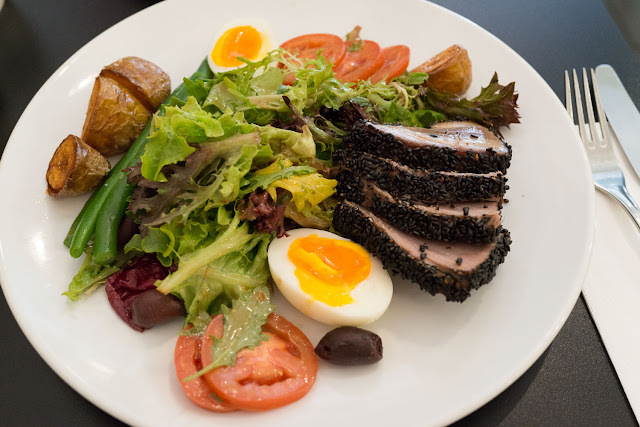 The salad was laid out with the components separate, fresh cooked tuna, soft cooked egg, baked crisp potato halves, green beans and a salad mix. 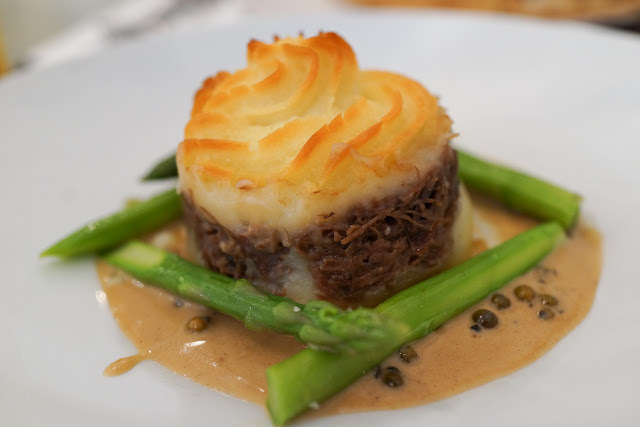 The tuna was cooked with a nigella seed crust that sealed the pieces and added some extra texture. Watch out, those pesky seeds can get stuck in your teeth! Following the salad was a crepe filled with prawn, mushroom and goats cheese. We gotta say, this was a bit of a flavour miss, the prawns were few and far between and the cheese overpowered the whole lot. 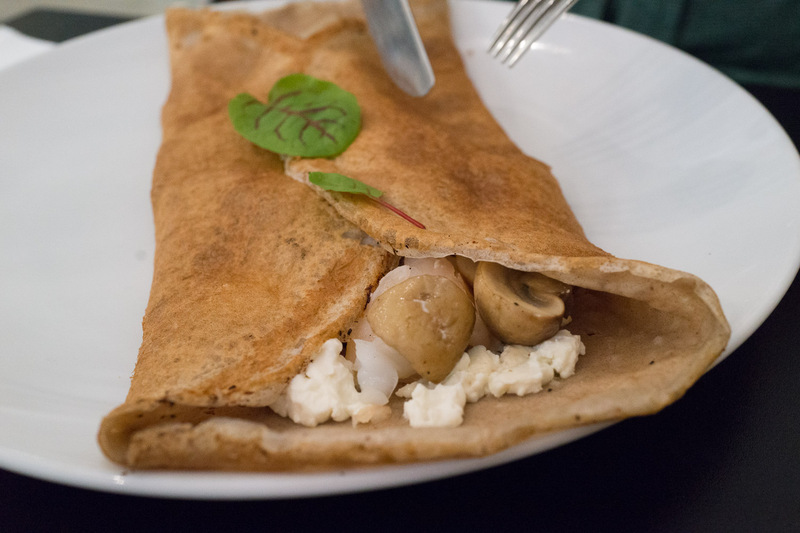 The buckwheat crepe casing was delicious, we'd love to see some different fillings that really worked, even a vegetarian version. Redeeming the meal at the end though was the Parmentiers de canard, pulled duck with mashed potato on top, like a ducky shepherds pie. We are always up for duck in all its many glorious ways and this was a ripper. If you can get a seat outside on a sunny Sydney day, it's the spot.